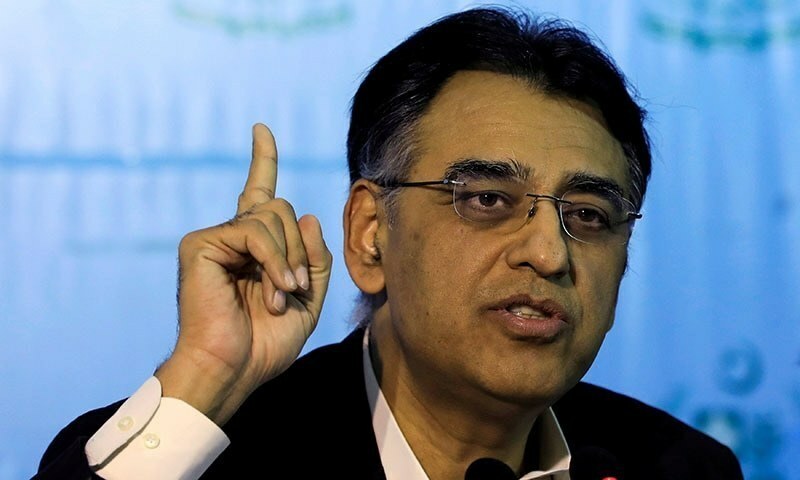 A Pakistani delegation led by Finance Minister Asad Umar met with Asian Development Bank and World Bank representatives in Washington to discuss issues related to the economy and reforms undertaken by Islamabad, according to a press statement received by the APP on Friday. The Pakistani delegation also held a number of bilateral meetings on the sidelines of the International Monetary Fund (IMF) and World Bank (WB) spring meetings. The finance minister and his delegation met with the Asian Development Bank (ABD) President Takehiko Nakao and apprised him of the current macroeconomic situation in the country, according to the press statement. Umar and Nakao discussed the continuation of Pakistan's ongoing engagement with the ADB, while Nakao appreciated the reforms process in the country and assured him of the ADB's continued support. Earlier, the finance minister reviewed the WB's Pakistan portfolio in a meeting with the WB team led by Hartwig Schafer, the vice president for South Asia, the press release said. They discussed projects in the pipeline as well as the sectors in which the World Bank could further scale up its interventions in Pakistan. Read: If Pakistan has been going to IMF for the last 30 years, why is structural adjustment still necessary? The finance minister also held a meeting with a team of the World Bank's Multilateral Investment Guarantee Agency (MIGA) led by Chief Operating Officer Vijay Iyer and shared views about the privatisation policy of the government and the expansion of a public-private partnership framework in the country. Additionally, the MIGA team apprised the finance minister of its current engagements in Pakistan. They informed him that MIGA was now looking to expand its portfolio in the country. 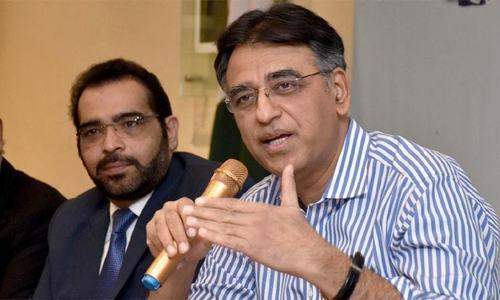 According to the statement, the finance minister also met with the US Treasury on the sidelines and apprised them of the macroeconomic situation in the country, the reform efforts, and measures being taken to strengthen the anti-money laundering legal and enforcement framework. Umar also held a meeting with Saudi counterpart Mohammed Al-Jadaan who informed the finance minister about the increasing growth momentum of the Saudi economy and the potential employment opportunities for Pakistani construction workers in the country. Umar arrived in Washington DC on Tuesday to attend the WB and IMF spring meetings. He met WB Group President David R Malpass and senior IMF officials on Wednesday as part of efforts to seek a three-year bailout package. The finance minister also briefly spoke to Pakistani-Americans about the state of the economy at an event at the embassy in Washington. "The more things change, the more they remain the same," he began. "This is what Pakistan is experiencing." 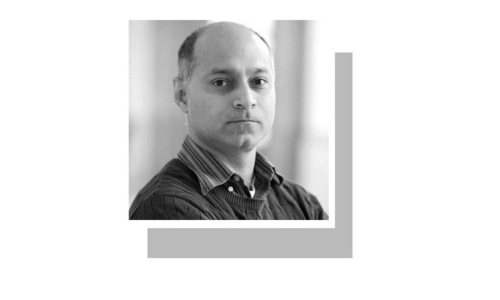 "We've been going through a recurring cycle of a balance of payments crisis," he said, explaining that he could not recall the last time a government in Pakistan had not inherited a balance of payments crisis and then sought IMF help. He pointed out that the pattern had remained the same in 1988, 1999, 2008, 2013 and 2018, "so there is something, obviously, which is structurally wrong". He added that while there may specific decisions that contribute to this, or people who may be responsible, there is clearly something "structural at play which goes beyond personalities and decisions". In a lighter vein, the finance minister told his audience that Pakistan could set a world record as it was about to enter its 13th IMF programme in 30 years. "That's quite an achievement." He added that in the short run Pakistan would enter into an IMF programme. What other options does the greenshirt delegation has got to justify its trip to Washington, D.C. at helpless and hapless tax-payers account, stay afloat, look busy, thumb it's presence, get counted and remain in the media limelight? World bank don't finance to current account deficit, ADB India also member not easy to get loan. The finance minister also held a meeting with a team of the World Bank's Multilateral Investment Guarantee Agency (MIGA) led by Chief Operating Officer Vijay Iyer----- outcome is very obvious. "..while there may specific decisions that contribute to this, or people who may be responsible, there is clearly something "structural at play which goes beyond personalities and decisions". Finally, an honest assessment. It is the structural reforms by actions and not words that will matter at the end. 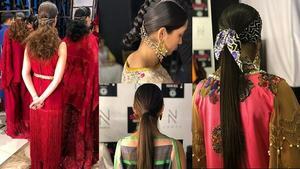 Pakistan needs to start multifaced industrial life-cycles by focusing on Renewable Energy, Digital Transformation, Science n Tech for exportable products, and Agri 4.0 away from synthetic fertilizers and pesticides (Chinse solution is not working), and support for local SMEs. Channel into the innovation stream by supporting start-up culture with State/Private venture capital funds with Global View. Power sector is the biggest burden on economy. Move away from the current model to renewables. Yes, give it a time frame but start with replacing of imported coal-fired Gwadar plant to Solar. Its cheaper, efficient, will take less time to complete, and environmentally safe. Let's have financial close of IMF loan. This will end uncertainty in the country. Credibility of Pakistan financial will improve. It will enable the country to issue fresh bonds to pay the amount due next month against old bonds. Stock Exchange will start improving. It will give the necessary breathing time to make workable future progress plans. PTI government is only robbing the Pall and paying the Peter. what about DAM which India is contructing on Indus River? Has he taken this matter with WB? A Umar states that we going to get the IMF loan on our terms. I trust in the capabilities of Asad Umar. I understand that the PTI government inherited a messy economy with chronic issues like fiscal deficit, urrent account deficit and artificially controlled rupee against dollar. All economic matters are interlinked, when one takes a long term view of the economy, the measures of the government seem to be on right path. Any details on the IMF terms and conditionality??? Whatever one may say....this guy has the most difficult job in Pak. He has to lower the expectations of the masses, enhance the expectations of the lenders, negotiate and finalize a lot of policies and above all, no room for mistakes. In a way it may also be a little easy for him, perhaps, as after eight months of constant flip flops, expectations are very less....so he can make all necessary structural changes and benefits of which will reap only after years to come. 13th programme in 30 years. Shame on IMF for doing nothing in the name of reforms other than earning money on behalf of their investor/partner countries! Shame on our previous politicians and bureaucrats for bringing our country on the verge of bankruptcy and robbing us of our resources! @M. Saeed , than why did he met and wasted his own precious time. @Minhaj Khokhar Silicon Valley, You are absolutely correct. @M. Saeed , and after that he will meet the IMF Chief Economist, Gita Gopinath! Welcome! @M. Saeed , when basic is not ok then everything not ok. First correction at root cause is needed. @M. Saeed , If outcome is so obvious then why go over there? why not generate billions from CPEC? Rationality is not everyone`s cup of tea. 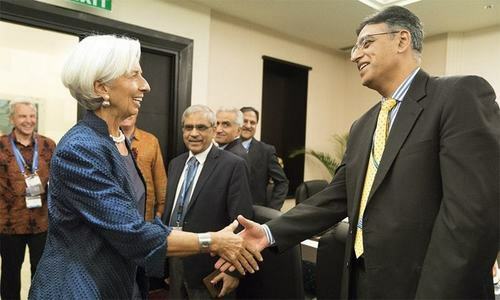 @M. Saeed , Sir, Asad Umar will also be meeting IMF Chief Economist Gita Gopinath and her team. She is also Indian. So for you outcome is clear. Whose cousin is in WB? And who will get the standard 2% kick back from WB loan. Some richer in Naya Pakistan. Dr ashfaq hasan khan, Dr ishrat hussian both in PTI government are couting tea biscuit austerity expenditures , when a BCOM pass disastrous finance minister is negotiating public policy structural reforms that will boost growth by making electricity and gas more expensive for industry and reverse the remittance centric open skies policies. who is running the show ? All your economic plans have to be cleared by World Bank,ADB,Saudi,China and UAE. @kp, Not CPEC. That is the "old game changer". Thee new one is "soon to be" found huge amounts of oil and gas.